Following up on a discussion on Youtube’s Drive channel (which I can thoroughly recommend), I have a few points to add, following my own experience. Recently, I was very fortunate to test drive two very different cars, yet their aim was the same. 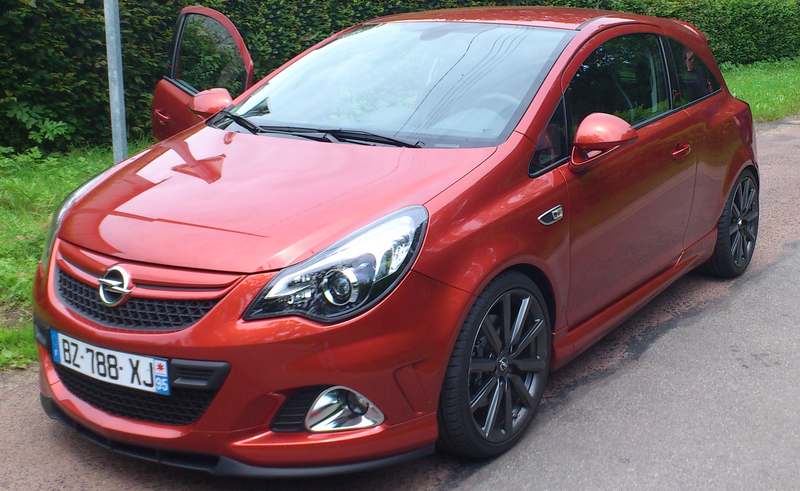 The first car I drove was an Opel Corsa OPC (or Vauxhall VXR in some countries) Nurburgring edition. This is a small hot hatch, with a 1.4L turbocharged engine, developing 210bhp. The second car I drove was a mint 1981 Mk1 Golf GTI with a small 1.6L fuel-injected engine, developing 110bhp, through a five-speed gearbox. Now, these two cars are hot hatches, thus have the same aim: Be able to do the shopping in the morning, then spend the afternoon on a race track, setting very decent times, followed by an evening taking you and your date to the classiest restaurant. However, over 30 years separate these two cars, and you can tell that. The Mk1 Golf GTI feels very special when you drive it. Turn it on, and all your senses come alive. The car is filled with the growl from that small feisty engine, the steering wheel vibrates, as you feel it is desperate to lunge forward. You also smell the engine; the oil, the fumes engulf the inside. The whole thing feels alive. To drive, it is very hard. No power steering here, so you really have to wrestle with the car to make it go the direction you want it to. Once on the move, the car feels very precise. When you turn the wheel, it reacts immediately, it all feels very connected. The car also corners very well, but here is the good part. At 30 mph, you are already having fun. The limits of the car are within easy reach, so you don’t have to go blistering speeds to feel something or play a bit with the handling. The small wheels (13 inches) have a lot to do with this. I could not help but smile when I drove it. Then the owner took me for a spin, and he made me feel like an old lady when I drove. It was scary, but scary fun, and the fastest you went was 70. The fear was there, but the joy also, the whole thing was a rush of adrenaline. You knew if you had a crash, the only airbag you had was the windshield. Yet you also knew that you were in complete control, and if things went wrong you were the only one to blame. It is a very memorable experience, and every journey feels like an adventure. The Corsa was a very different thing. Just looking at the numbers you feel impressed. It is the same size as the Golf, but it is almost twice as powerful. You would imagine that it would scare the hell out of me. It didn’t, it was in fact all very boring. The problem is, you do not really feel like a driver, just an orchestra conductor. Sure, you do the movements, but it is not actually you who is doing the sound. Speaking of sound, the Opel may have a stainless steel exhaust, inside it is way too domesticated, you hardly felt anything. Turn the key, and you would be forgiven for thinking you are in a measly entry-level Corsa. There is no sense of occasion. Sure, from the outside, it tries to shout ‘sport’ with fake vents here and fake diffusers there (which would probably get you turned away from classy restaurants in the evening), but on the inside, short of the good Recaro seats, nothing really distinguishes it from the usual Corsa. It all feels too unsophisticated, gone are the days of the subtle sporting details of the Mk1 Golf. The electrically-assisted steering also gives little feel, you would imagine you were actually controlling a Forza version of the car. The only feeling you get is when you mash your foot down, and the car pulls forward. Then, you are greeted with copious amounts of torque-steer, which is actually quite fun. Driving the car at normal speeds also is not rewarding. Yes, it may have excellent Bilstein suspension that give the car great handling, but they also feel very firm, with fairly bad damping, bouncing all over the place, and overall, it all feels very muffled. To really get some feel, you have to drive at two, maybe even three times the normal speed limit to get even a morsel of feeling. And that is the problem with cars today, they are way to good! The Corsa, for example had 18 inch wheels; something unheard of in 1981. Yes the car corners well, but to feel the corner you have to go three times as fast as in the Mk1 Golf. It seems as if cars today are engineered to be the best on paper. The numbers are very amazing, that is true, but when you drive it at normal speeds you do not feel anything, because it is that good. Yes, the car will go around the Nurburgringe in less than 9 minutes, but every day, on the commute to work, we would also like to feel some fun or emotion. Cars today are designed to go too fast, making them more dangerous. But then they are safer as well, so you don’t really care that you have to go faster. To feel like you are on an adventure in the Corsa, you have to go the speeds only possible by a Formula 1 in the 1980s. And even then you don’t hear the engine. And because of all the electronics, you would be unaware of the speeds you are doing, because doing 100mph felt like doing 30. People today want their car to do everything, so the driver feels too insulated from the driving experience. 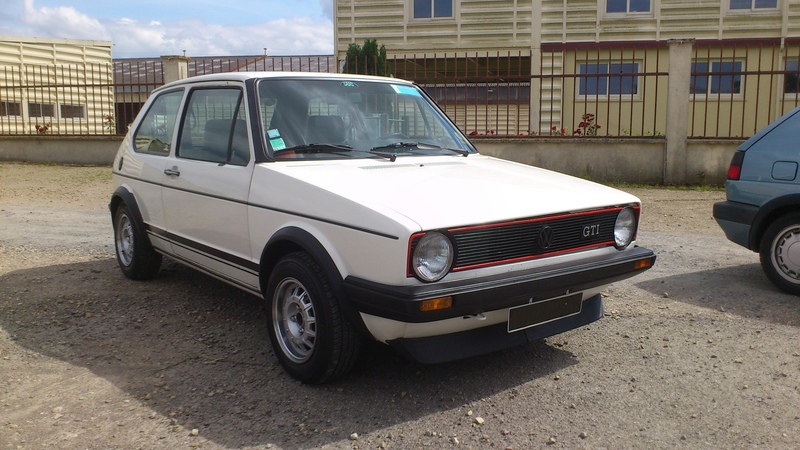 If a car came out today, identical to the Mk1 Golf, it would not sell, because it would be deemed too unsafe, too noisy, too uncomfortable, and would not even have Bluetooth connectivity. We have to face it though, it seems that nowadays, buying a car is more about showing off, than about the driving experience. Someone who buys the Corsa would boast about the overboost function, and probably never use it. We expect too much from the car that they have become too good, and we are paying for it, by sacrificing emotion and feel. Is technology making cars worse? For a daily driver, not really, as arriving to work all sweaty and on an adrenaline rush may be a bit tedious week after week. If you want to drive cars for fun, though, yes. And that is why passionate consumers always buy vintage cars, running away from the new ones. In this case, they knew more about fun the old days. 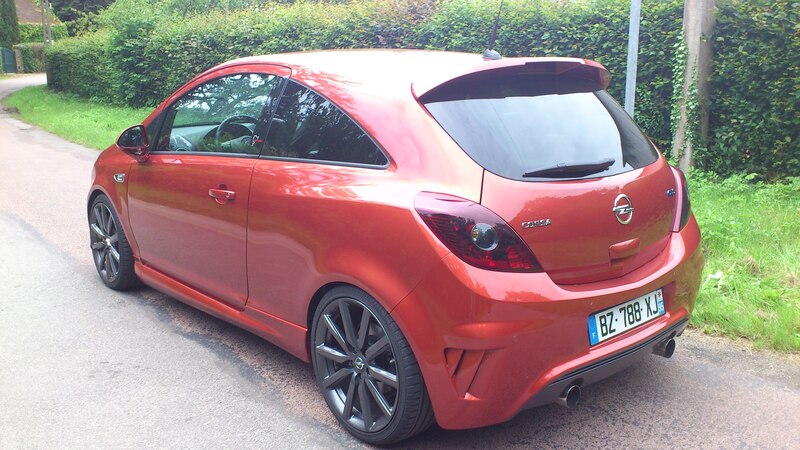 This entry was posted in Car reviews and tagged cars, corsa, drive, emotion, golf, gti, mk1, nurburgring, opel, technology, volkswagen, worse. Bookmark the permalink.